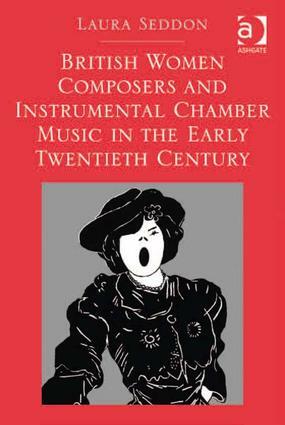 Contents: Preface; Introduction; Contexts: the lives of women composers; Women and chamber music; The society of women musicians; The other side of London’s musical society: Adela Maddison, Ethel Smyth and Morfydd Owen; The early 20th-century phantasy; Epilogue; Appendices; Bibliography; Index. Laura Seddon received her PhD from City University, London in February 2011, and continues to research in the area of gender and music. She is Director of the organisation Contemporary Connections which instigates musical projects combining historical research and contemporary compositional practice. She also teaches musicology and research/analytical skills.